Bev has been in the sales and service industry most of her life, with commercial furniture sales filling up her last few years. This coupled with her love of people it seemed a natural progression to enter the Real Estate Industry. Growing up in Upper Hutt and still living in Upper Hutt, Bev is very passionate about Upper Hutt and what the community has to offer. Bev's choice of Harcourts, gives her the opportunity to work in this community with a professional and friendly company. Whilst, Bev played squash for many years, she now prefers the gentler art of walking. Over the years, Bev has been involved in both her children's school and sporting teams, often involved in either managing or organizing the teams and has met many friends through this, and her love of coffee has given her the opportunity to make a lot of coffee buddies!! Being an Upper Huttie for most of her life, she knows a lot about the area and what this community has to offer people from all walks of life!! Bev is looking forward to working in this area and to meeting you. EXPERIENCE John has been in Real Estate since early 1989 and with Harcourts since April 1990. He has sold over $135 million dollars of Real Estate in Upper Hutt since starting. John is a consistent enthusiastic top performer giving outstanding service. He was formerly a metallurgist and factory manager having lived and worked in Wales, South Africa and New Zealand. 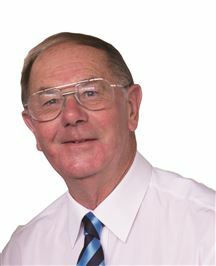 He has been a New Zealand citizen since 1988 QUALIFICATIONS Chartered Engineer (C.Eng) UK Member of Institution of Metallurgists (MIM) UK Real Estate Sales Persons Certificate NZ Real Estate Branch Managers Certificate NZ LOCAL CONNECTIONS He has lived in Upper Hutt since 1978 and knows the area well. Has been involved in counseling those in need of help. PERSONAL Married with three daughters, two of whom are Physiotherapists. 2 in the Wairarapa both in the health field. One on the Kapiti Coast also in the health field. His wife, Sue is a well known retired Lower Hutt Podiatrist. REFERRAL CLIENTS John has many referral clients from past clients, which is always a compliment and confirms the level of service that he prides himself on. Number 1 Team - Harcourts - Upper Hutt - 2017/2018. 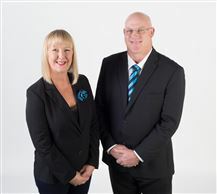 With over 20 years’ experience between them in the real estate industry, Lee-Anne Walker & Paul Hullett are a winning combination. We are the Residential & Lifestyle Specialists in Upper Hutt. Multiple Award Winners, Lee-Anne & Paul are currently ranked #1 Team in Upper Hutt and consistently rank in the Harcourts Monthly Top 20 Awards. They were placed 16th in the Harcourts Top 20 for the Wellington Region in the 2017/2018 year - a magnificent effort for a hardworking couple who are proud to serve Upper Hutt. Lee-Anne and Paul specialise in both Residential and Lifestyle properties within Upper Hutt and were recently placed in the NZ Top 50 for Lifestyle and Rural Sales, including the top Lifestyle and Rural Sales Team for the Wellington Region in February 2018. Paul is well qualified to support Lee-Anne in business, working in previous roles within the real estate industry, including Property Management, Sales and Sales Management and as a Branch Manager in Christchurch. Paul studied and gained his Branch Managers and AREINZ qualifications in 1996 and has recently gained his NZQA National Certificate in Real Estate. He has also had an extensive career as a Certified Plumber and Gasfitter and has successfully run his own business for over 27 years. Lee-Anne and Paul are proud to work for Harcourts – voted the ‘Most Trusted Brand’ for the 5th year running. If you are looking for a dynamic team to sell your home and get you the 'BEST PRICE', Lee-Anne & Paul are your keys to success. “Experience creates Results” – call 0800 SOLD 1T (0800 765 318) or 027 97 44078. AWARDS Ranked #1 Residential Salesperson – Upper Hutt 2017/2018 Ranked #1 Residential Salesperson - Upper Hutt 2016/2017 Ranked #2 Residential Salesperson - Upper Hutt 2015/2016 Top Lifestyle & Rural Sales Consultant – Wellington Region – February 2018 Top 20 – Wellington Region - October – December 2016 – #16th place Top 20 – Team Group – 201/2018 - #16th place Top 20 Harcourt's Team Group: March 2018, February 2018, October 2017, June 2017, December 2016, November 2016, August 2016, July 2016, May 2016, October 2015, August 2015 NZ Top 50 – Rural & Lifestyle August 2016 - 37th place Gold Award Jan – Feb 2018 Oct – Dec 2016 Silver Award Oct – Dec 2017 April – June 2017 Bronze Award July – Sept 2016 April – June 2016 Jan – March 2016 Oct – Dec 2015 Pin Awards $20,000,000 Dollar Club Previous Awards (Remax Leaders Real Estate) NZ Gold Club Award NZ Top 50 Wellington Top 30, NZ 100% Club. THE OTHER FLOWER OF SCOTLAND. I was born in Hawick in the beautiful Scottish Borders, educated in Paisley and then qualified as a Physical Education teacher in “Auld Reekie” Edinburgh. I enjoyed many sports, but concentrated on netball and played for 4 years in the Scottish Netball Squad. We moved to New Zealand in 1983 and have lived in Silverstream for 24 years. I enjoy playing tennis, umpiring netball and going for long walks with my dog Meg. My daughter Sally has now completed her degrees from Otago University and is now working as a Conference Co-ordinator for the Medical Industry of New Zealand in Auckland. I thoroughly enjoyed teaching PE first at St Orans College & then for 12 years as Head of Department at Chilton St James School. Time for a change of direction & a new career in Real Estate, working very successfully for Remax Leaders in Upper Hutt for 6 years & now with Harcourts Silverstream. This industry is a challenge, ever changing , demanding & competitive. Buying or selling a home is an important decision made for many reasons. The choice of agency & especially the agent should not be difficult. This person must have the skill to negotiate, be committed to you & have the personal touch so important in this stressful time. I am an outstanding agent , with proven results, well organised , committed to a high level of service & who really enjoys working closely with clients to achieve a successful outcome. Experience - Ric Tyson has been involved with Real Estate for 26 years. He is known for his straight shooting, up front, direct, no nonsense approach. He is proud of success and he says “it comes from a lot of hard work and that luck has had nothing to do with it” he learnt a great deal from his mentor the late Michael Duncan who new the law book back to front. Qualifications- Ric has his sales consultant’s license. He managed the Rental division for 4 years and has built, for his clients extensive portfolios .He also holds his Auctioneers licence. He was and still is a very accomplished chef, trained in the Royal NZ Army. Later working for St Patrick’s College as the catering manager for years. Prior to this he prepared and served meals in hotel restaurants for famous dignitaries. Hobbies and local connections- founder and life member of the British Car Club. Fly fishing enthusiast.Ric has for many years collected Pre Decimal Currency Owned and managed the Upper Hutt Caravan yard for many years. His personal favourite past time is “Relaxing at the batch in Turangi, with his beautiful wife Pam’,Ric says. Personal- Married with 3 adult children and 5 grandchildren and one great grandchild. Referral Clients- People call Ric from overseas to ask advise on their Real Estate needs, this is a proven fact that they trust his judgement and will solely deal with Ric. Clients of Ric’s whom he has built Rental Portfolios for have said to him, that they are willing to write a letter of validation if ever required. He also believes that when someone gives him an exclusive agency they are giving him the exclusive rights to control the contractual paper work to their property, something he takes very seriously. Educated in the UK and married for nearly 30 years I bring my business acumen to buying and selling real estate in an ever changing market. Before joining Harcourts I ran my own construction company for over 20 years receiving numerous awards for the quality of the work we carried out. Having been an employer and the principal of a company I am used to dealing with and solving problems of employees and customers using diplomacy and tact along with a firm stance to steer any issues in a direction that was required. I have used this skill to great effect in my career so far with Harcourts selling numerous properties above the guide price a small sample of which are enclosed. I understand that real estate is about people first and foremost, and that personal integrity is essential in all matters property. I pride myself on my honesty and my hard working and tenacious approach to the industry. I am not satisfied with second. When you employ me you will be choosing someone with a proven track record of selling property, someone who has the life experience to empathise with both you and the buyer and most importantly someone who never forgets that you are the client and it is you I am working for. So for a smooth transition from seller to sold it has to be me! Tony Young brings to real estate a lifetime of personal and business experience in Lower Hutt. He is an enthusiastic advocate of Lower Hutt and the many lifestyle benefits it offers to residents. He has a wealth of experience as a property owner, investor, renovator and rental owner. He will listen and match clients with their needs whether they are buying or selling. He enjoys helping clients and using the Harcourts team-approach to the client’s best benefit. Before real estate Tony had an extensive career in journalism, general management, print/digital media and marketing. He is a former editor of the Hutt News and more recently a divisional GM with Fairfax Media NZ. Tony is a skilled listener, facilitator and negotiator. His personal and professional experience is always at the client’s full disposal during real estate transactions. Tony is looking forward to helping with your next property transaction. Wanna Bargain - Grab It Now!!! "The House That Bill Built"
Wow - "Fresh As A Daisy"
Finally, Our First Home - Yay! Come home to YOUR OWN home! Is It To Be......Or Not To Be! See More At Seymour Grove! "Only a Short Walk to Town"
"A Home with a View"
Ahh - "Our Chance At Last"
Hot Property - Cool Price Tag! Happy New Year "Value Here"
Counting Down To Auction Day! Are You Paying Attention !! Not Just Nice - Fabulous! "Something in my price range!" It's Gotta Be A Good Buy! Visitors Welcome, Take a Look. There IS only 1 of These!!! This Is The One For You !!! Start Planning Your Move Here! Sweet Home - Massive Garaging! The ¼ acre Kiwi Dream! Be Quick This Will Sell! Out of Town Owners Say Sell! You Will Be So Lucky!!! "I'm Out - You're In"
Sold "Not Yet" Will Be!! Better Be In To Win!! Job Transfer, Is your gain!! When Viewing Is A Must!! The Real Doer Upper !!!! Screaming out "Buy Me Buy Me"
Starting On A New Journey? This ones a must see!